MENLO PARK, Calif. – The Board of Directors of The William and Flora Hewlett Foundation announced today that it has selected Larry Kramer to be the Foundation’s next president. Mr. Kramer, a noted constitutional lawyer, has been dean of Stanford Law School since 2004. Among his many accomplishments, Mr. Kramer helped launch partnerships with Stanford research centers focusing on social justice, energy, natural resources, criminal justice, conflict resolution, and global politics, among other issues. He has also helped establish legal education projects in Afghanistan, Bhutan, Kurdistan, and East Timor. The selection comes after an extensive international search led by a committee of members of the Hewlett Foundation Board of Directors in partnership with the executive search firm Heidrick & Struggles. The search committee was chaired by Stephen C. Neal, chairman of Cooley LLP, and assisted by Hewlett Foundation Vice President Susan Bell, who served as Deputy. The committee included Walter B. Hewlett, the son of William and Flora Hewlett and chairman of the Hewlett Foundation Board; the Hewletts’ daughter Mary H. Jaffe; Byron Auguste, a director at McKinsey & Company; and Richard C. Levin, president of Yale University. Mr. Kramer replaces Paul Brest, who has served as president since 2000. In summer 2011, Mr. Brest announced that he would be stepping down in 2012. Mr. Brest will continue to serve as president until Mr. Kramer begins on September 1. Mr. Kramer, 53, grew up outside Chicago in the working-class towns of Niles and Morton Grove, Illinois. He attended a public high school, working as a caddie, gas station attendant, short-order cook, Kmart clerk, and shoe salesman. He attended Brown University—one of the first from his high school to go to an Ivy League university. He worked his way through college and then law school at the University of Chicago. After clerking for the legendary jurists Judge Henry J. Friendly of the U.S. Court of Appeals for the Second Circuit and U.S. Supreme Court Justice William J. Brennan Jr., Mr. Kramer was asked to join the faculty of the University of Chicago Law School, where he became a full professor at the age of 31. 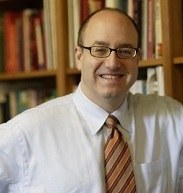 After professorships at the law schools of the University of Michigan and New York University, Mr. Kramer was named Richard E. Lang Professor of Law and dean of Stanford Law School in 2004, and he quickly earned a reputation as a maverick educator. At Stanford, Mr. Kramer was successful in creating or expanding law centers dedicated to social justice, public service, and international legal training; shifting the law school’s calendar to allow its students to engage in interdisciplinary studies with Stanford University’s many other schools; and spearheading a new model for legal education that combines the study of other disciplines with expanded training, enabling students to represent clients and participate in cases while in law school. He is a member of the board of directors of Equal Justice Works, an organization that provides legal support and training to benefit underserved communities. Mr. Kramer is the author of four books and scores of articles on a wide variety of legal issues. He holds an A.B. in religious studies and psychology from Brown University and a J.D. from the University of Chicago Law School.